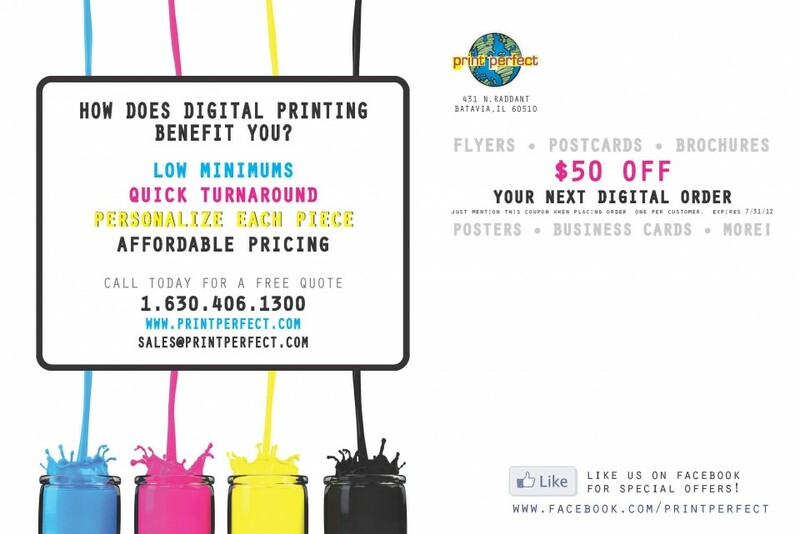 We created this mailing piece for a commercial printer in Batavia, Illinois. The full-color postcard design and printing were used to promote the new capabilities of our client’s newly installed digital printing equipment. We utilized a bright CMYK color scheme that really popped off the page on the high-gloss stock with a catchy tagline to highlight the benefits of digital printing. The $50 incentive increased their traditional response rates and generated immediate digital printing sales to keep their new digital machine running. The cards were printed on a thick 130# stock and run through an inkjet machine for addressing. A creative design and clear call to action can be the two most important elements of any direct mail marketing piece. Your goal should be to inform and incentivize sales; this can be achieved with full color postcard printing and mailing. dream ink offers full color postcard design and printing, audience targeting and direct mail services that enhance ROI, increase visibility and build your brand with creative marketing solutions. 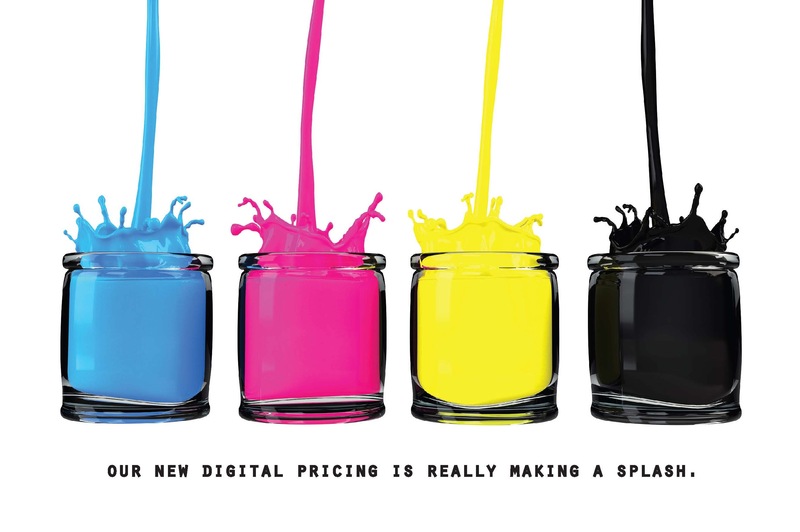 Whether you need a dazzling direct mail design or affordable printing options, we can help! Call today for a free consultation or visit our Direct Mail Services page for more information.